Guests enjoy free toast & jam breakfast, free use pool table, table tennis, BBQ, bikes, boogie boards, tea and coffee, movie nights, parking, unique visitor guide and help, smiles, helping you have a great time in Bunbury. We have all the information you need to be able to see, swim and work with the famous Bunbury Dolphins, finding work as well as all the other things to do in and around Dolphin City. The things to do in Bunbury include swimming at the sandy beaches, snorkeling, watching the friendly dolphins, bush & forest walks, learn to surf, fly a plane, swim or kayak with the dolphins, feed kangaroos and more at the wildlife park, fishing, sky diving, diving on the ship wrecked Lena, visit Gnomesville and leave a gnome. Find out about these attractions and much more from the unique Bunbury visitor guide we give to all our guests. Off street parking is available at the rear of the hostel. To travel from Bunbury from the capital city, Perth, you may catch the train or bus. Please email us for the latest transport details. Book a bus from the Airport to the Wellington Street Train Station (this is the train stop in the city centre of Perth). The company is Airport Connect. If you travel on the Train - catch the morning train to Bunbury and there will be a free bus on Mon' to Sat' to take you to the city centre bus station (next to the Visitor Information Centre). There is a train on Sunday but there is no free bus on Sunday. 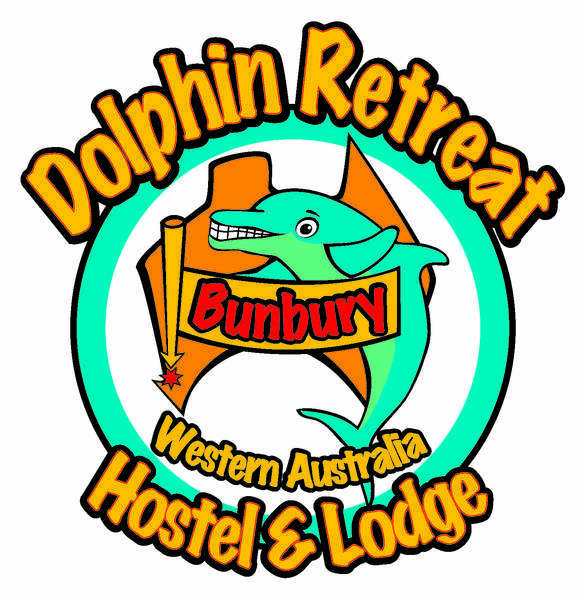 The hostel is 10 minutes walk from the Bunbury city centre bus station. If you catch the afternoon train you will have to catch a taxi to the hostel. (The train station is 4km away from the city centre). If you travel on the Bus - You need to ensure that the bus takes you to the city centre bus station and not the train station. South West Coach Lines drops passengers off at the city centre bus station. Only some TRANSWA buses will take you to the city centre bus station so we recommend you check that if you take this bus line, that they will drop you at the city centre station. GROUP BOOKINGS - Bookings for more than 6 people will be considered a group booking. The accommodation must be paid in full at least 28 days prior to check-in or your reservation will be cancelled. You must agree to all Group Booking terms and conditions that can be forwarded to you for acceptance by contacting us.